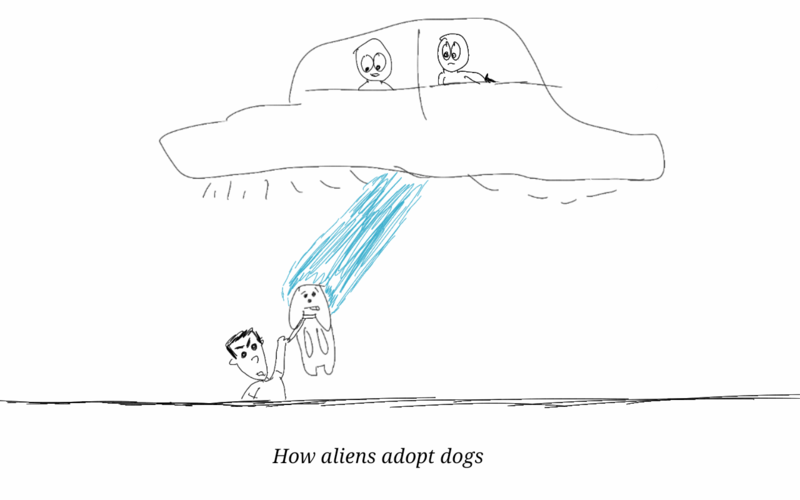 This entry was posted in cartoons and tagged aliens, cartoon, comic, dogs, humor, space. Bookmark the permalink. If you hang on tight, you’ll get adopted too. Thank you for dropping by my blog. Thanks for again visiting and liking my blog, “Come on! Common Man”. I appreciate your ongoing support.